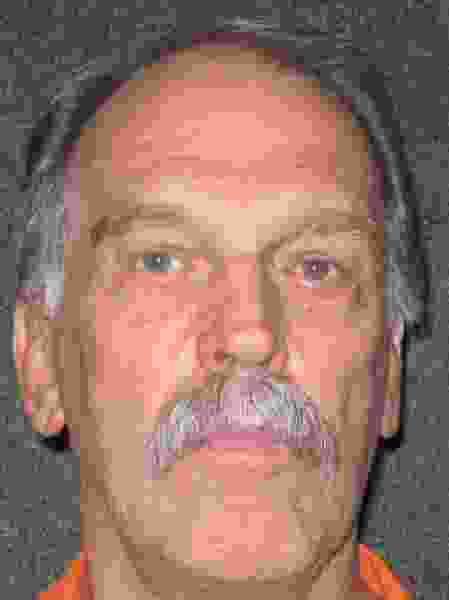 Courtesy | Utah Department of Corrections Utah death row inmate, Ronald W. Lafferty. After a decade of litigation, a federal judge has rejected Utah inmate Ron Lafferty’s challenge of his murder convictions and death sentence for the slayings of his sister-in-law and her baby daughter in 1984. On Thursday, U.S. District Judge Dee Benson dismissed a petition that sought to vacate the convictions and sentence on the grounds that they violated Lafferty’s federal constitutional rights. “This is a major milestone in terms of moving the case forward, at very long last,” Utah Assistant Solicitor General Andrew Peterson said. Dale Baich, a federal defender who represents Lafferty, said he plans to appeal the decision to the 10th Circuit Court of Appeals. Lafferty’s challenge, filed in October 2007, included numerous claims of ineffective assistance by trial and appellate attorneys, prosecutorial misconduct and violation of his constitutional rights. According to court documents, the gruesome murders appear to have been triggered by Lafferty’s unorthodox religious views, which had caused his wife to divorce him in early 1984 and take their six children with her to Florida. Lafferty, in turn, blamed the end of his marriage on four people, including sister-in-law Brenda Wright Lafferty and her daughter, “who he believed would grow up to be just as despicable as her mother,” court documents say. In spring 1984, Lafferty claimed he received a revelation from God ordering that the four be removed “in rapid succession” and shared the revelation with several other members of his small unorthodox sect, including his brother Dan Lafferty, court documents say. On the morning of July 24, 1984, Ron and Dan Lafferty forced their way into their sister-in-law’s American Fork home and severely beat her, strangled her with a vacuum cord and slit her throat, court documents say. Dan Lafferty then killed 15-month-old Erica Lafferty by slitting her throat. The brothers then broke into the home of a friend of Ron Lafferty’s wife, who was the next intended victim, but no one was there, court records say. And after missing the turnoff to the home of the fourth intended victim — the divorced couple’s ecclesiastical leader, whom Ron Lafferty believed was responsible for his excommunication from The Church of Jesus Christ of Latter-day Saints — the brothers headed to Nevada. The Laffertys were arrested in Reno, Nev., several weeks later. In 1985, both men were convicted of murder, and Ron Lafferty was sentenced to death. Dan Lafferty, now 69, was sentenced to life in prison without the possibility of parole. The 10th Circuit later overturned Ron Lafferty’s capital murder conviction and ordered a new trial after finding that the wrong standards had been used to evaluate his mental competency. Lafferty was convicted and sentenced to death again for the murders in 1996.